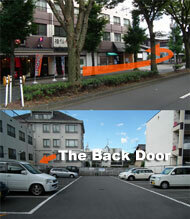 You will find a RED curtain hanging at the entrance. 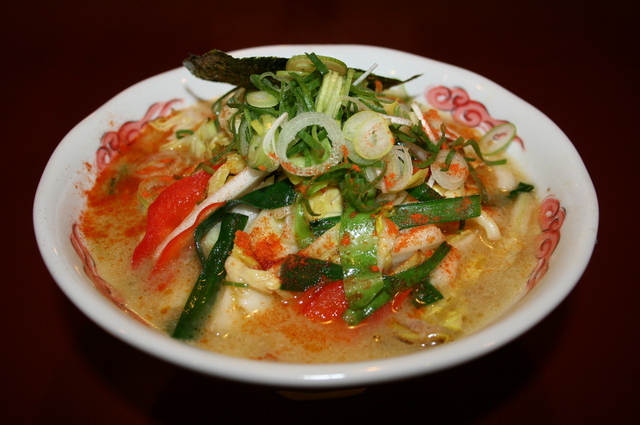 Our ramen soup is known for its creamy color broth made of pork and chicken bones and numerous kinds of vegetable. This unique almost 'pottage-like' soup blends well with our homemade frizzy thin noodles. 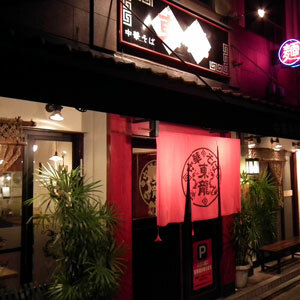 The noodles are homemade thin ramen noodles made of wheat. 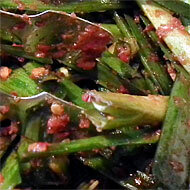 If you enjoy the spiciness in your noodle, please top the bowl with the chillied-leek (niramayo) placed on the table. You won’t miss the RED curtain hanging at the entrance. We provide table and counter seats. Please refrain from smoking inside the restaurant. 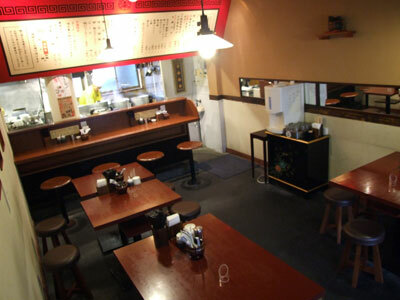 All teishoku set menus come with a choice of a Tonryu Ramen or a Chuka Ramen. 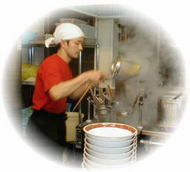 To our original broth, another broth made from simmering several kinds of vegetables is added to make Tonryu Ramen soup. 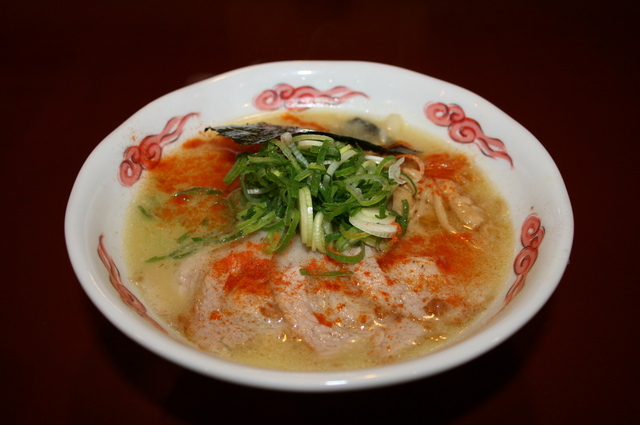 Compared to Chuka Ramen, Tonryu Ramen is salt flavored topped with slices of pork chashu and chopped leek. 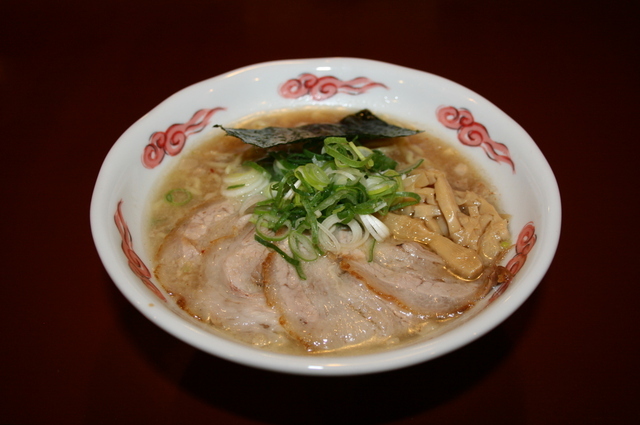 Fried vegetable (cabbage, Chinese cabbage and more) and chopped pork chashu are added on top of Tonryu ramen. To our original broth, original mixed soy-sauce is added to make Chuka Ramen, topped with slices of pork chashu, chopped leek, homemade shredded Chinese bamboo shoot and a piece of nori. 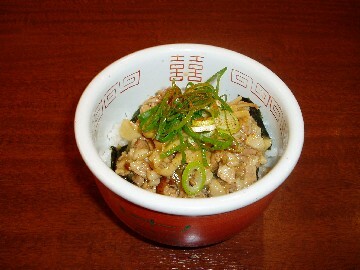 A bowl of rice topped with simmered tender pork. Ro-ba-bun is known as one of the typical Taiwanese home dishes. 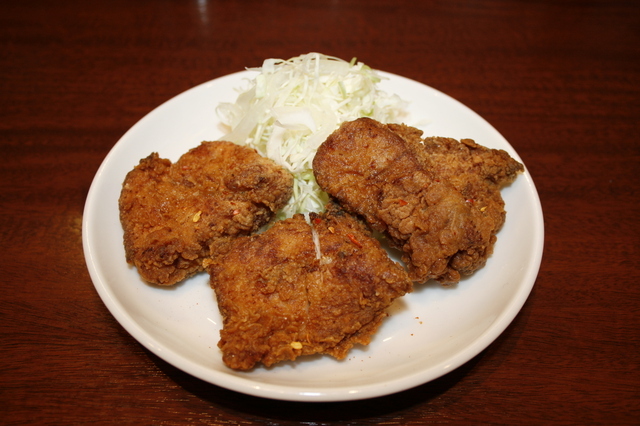 Three pieces of original seasoned fried chicken Taiwanese style. 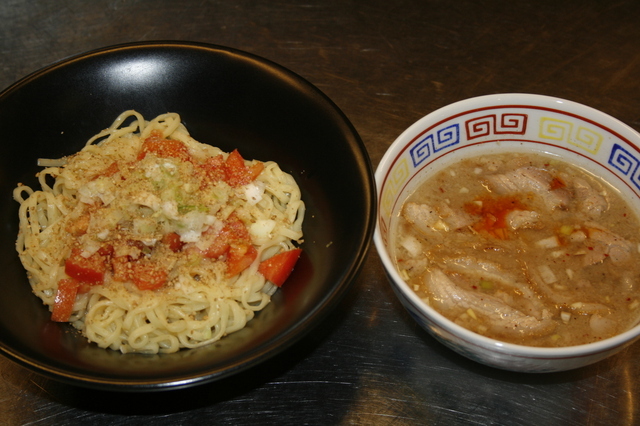 The noodles are drained and served on a plate with fresh tomatoes perfectly matching with the slight sourness of the soy sauce flavor soup on a side with chops of pork. The best way to enjoy the ramen in the summer time. All Tonryu’s menu are completely original, created by our head chef, Shuko Morimoto. If you enjoy the spiciness in your noodle, please add the niramayo. They are served on all tables for free.